Postcards from the Attic: You've Got Mail! 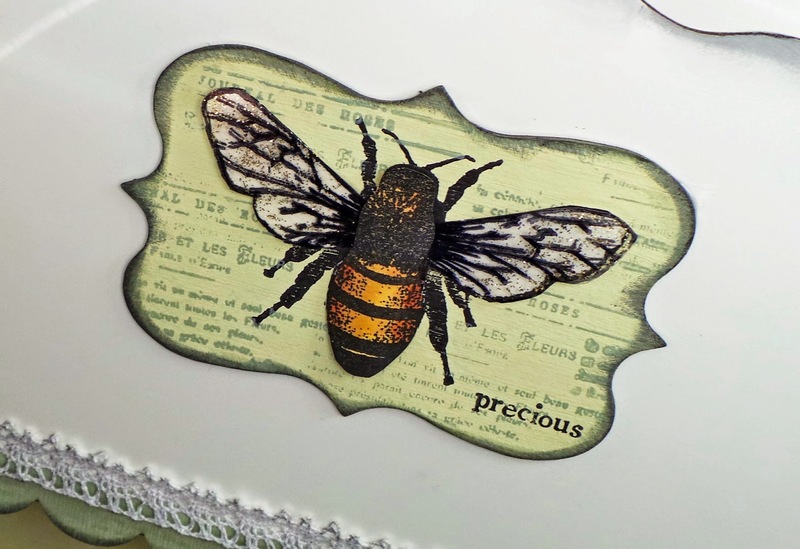 A really quick, simple project today - and there's that Stampotique bee again!!! I got this post box from Dunelm in the sale and gently altered it for my craft space. 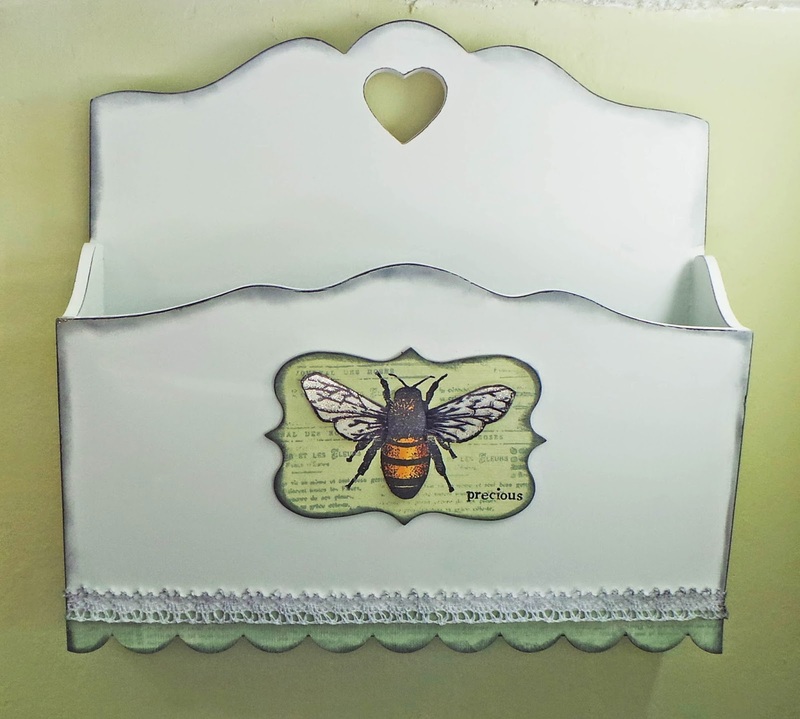 It was white already and as my scheme is green, white and wood I kept it the original colour, simply covering the existing writing on the front with a die cut label adorned with a bee. All the edges are inked with Archival Watering Can ink which worked so well! I officially LOVE Wendy's inks. It's happily sitting behind my desk now, keeping my Crop-a-Dile and big scissors safe :).